Grams were introduced in 2010. 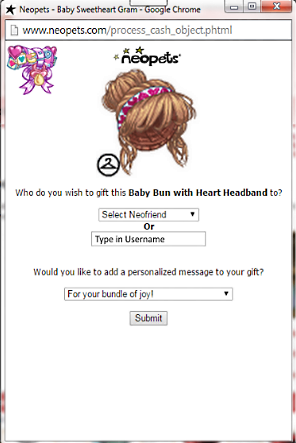 These pretty scroll like Neocash items allow you to gift an exclusive NC item to a friend (or yourself). Grams are designed with various different themes to celebrate special holidays and occasions! The Sweetheart gram is the most popular version and released yearly to celebrate Valentine's Day! Grams are only available for a limited time each year, so spread the love while you can! 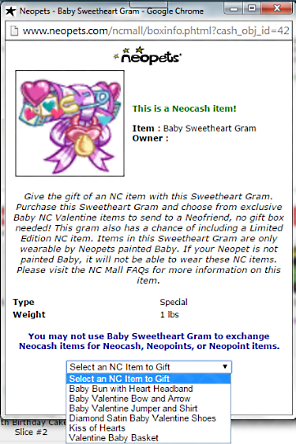 Once you've purchased your gram from the NC Mall, it will go straight into your inventory. There is no activation needed. Select an NC item from the drop down menu, then enter or select the username you wish to send the item to. You also have the option to select one of the personalized messages provided in the drop down. For security purposes, you will need to enter your password and PIN (if one is setup) before you can send the item. You can only select one item from a gram to send to a user (or yourself). You can also purchase and send grams to your side accounts. You will not receive a duplicate of the item for yourself when an item is sent. Once an item is sent, the gram will no longer be in your inventory. The exclusive NC items in grams cannot be bought separately in the NC Mall. Once you've purchased a gram, it will not expire. An NC Gift Box is not required or needed to send an item from a gram. The gram itself cannot be gifted using a NC Gift Box, as it doesn't give the option. The gram can only be put into your Safety Deposit Box or Gallery through Quickstock. These options are not displayed in the drop down when you open the gram. When a gram is gifted, you and the recipient will receive an event notification along with a Neomail stating the item is sent and received. You will have within 48 hours of receiving the gram to accept or deny. If you deny a gram, the item and gram will return back to the sender without any loss. All grams have the chance of receiving a themed Limited Edition bonus item. If you are lucky, the Limited Edition item will be an option in the drop down menu along with the regular exclusive items. There is only one themed Limited Edition item for each type of gram. Since grams only allow you to send one item, you can either send the Limited Edition item or one of the regular exclusive items to a user (or yourself). Additional bonus item(s) are given out based on the outcome of the Community Challenge at the end of the event. Starting in 2011, the Share the Love Community Challenge is hosted yearly with the Sweetheart Gram event. 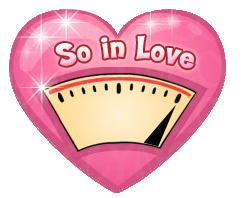 The meter represents the amount of Sweetheart Grams sent. The tick will gradually increase to the right as more users send grams. The amount of grams needed to reach the "Lots of Love" goal is unknown. When the tick is on the last notch to the right, the goal is met! Everyone who sends at least one gram by the end of the event will receive the bonus item(s) for participating. If the goal is met early, you can still participate in the challenge if you purchase and send a gram before the challenge end date.